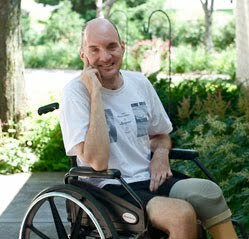 MINNEAPOLIS (WCCO) — A Ramsey County jury awarded $27.7 to a Minnesota pilot who claimed faulty airplane parts contributed to a 2010 plane crash that left him with life-changing injuries. According to a statement from attorneys, Mark Kedrowski was piloting a private plane that lost engine power, forcing him into an unpowered crash landing near Lake Elmo. The plane was destroyed, and Kedrowski was left with debilitating injuries, including a below-the-knee amputation on his left leg, a fused ankle and severe injuries to his face and head. Attorneys say he required over 50 surgeries in all. 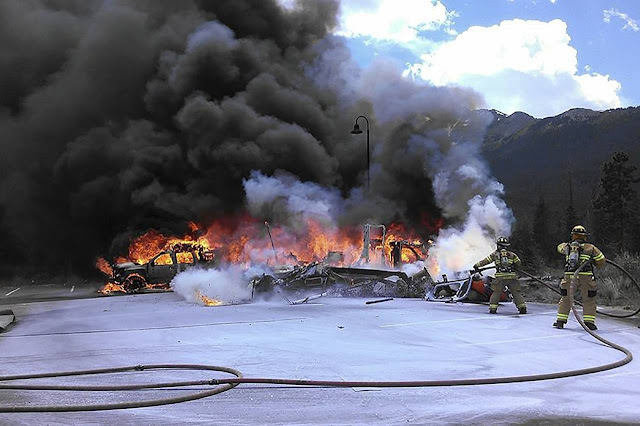 In a years-long lawsuit and a four-week trial in Ramsey County, Kedrowski alleged that airplane parts manufacturer Lycoming Engine’s fuel pump malfunctioned, causing the crash. Lycoming denied any responsibility, saying Kedrowski lost control of the airplane during flight. Attorneys say Kedrowski was once an impressive athlete, participating in triathlons, paddle boarding, biking, skiing and once qualifying for the Olympic trials in windsurfing. The pilot was departing in his experimental amateur-built airplane on a personal cross country flight. Witnesses in the area of the accident reported they observed the low-flying yellow airplane climb over a tree line, pass over the roadway they were on, encounter wind, and then bank. The airplane subsequently descended during the turn and impacted terrain in a field about 1/2 mile north of the departure runway, where it sustained substantial damage to its fuselage. The recorded wind was 19 knots gusting to 28 knots. The pilot sustained serious injuries and indicated that he did not recall anything regarding the accident flight. A postaccident examination of the wreckage revealed no evidence of mechanical malfunctions or anomalies with the airframe or engine. The pilot's failure to maintain control of the airplane during takeoff with gusty wind conditions, which resulted in a collision with terrain. On September 3, 2010, about 1605 central daylight time, an experimental amateur-built Kwech GLASAIR RG SUPER 11S airplane, N333HK, piloted by a private pilot, sustained substantial damage on impact with terrain during initial climbout from runway 32 (2,850 feet by 75 feet, asphalt) at Lake Elmo Airport (21D), near Lake Elmo, Minnesota. The personal flight was operating under 14 Code of Federal Regulations Part 91. Visual meteorological conditions prevailed at the time of the accident. An instrument flight rules flight plan was on file and was activated. The pilot sustained serious injuries. The flight was originating from 21D at the time of the accident, and was destined for the Pine River Regional Airport, near Pine River, Minnesota. Witnesses in the area of the accident reported to Washington County Sheriff’s Office representatives that they observed the low-flying yellow airplane. According to the witnesses, the airplane climbed over a tree line, passed over Manning Avenue, encountered wind, and banked. The airplane subsequently descended during the turn and impacted terrain in a field south of 40th Street and east of Manning Avenue. A Federal Aviation Administration (FAA) Inspector interviewed the pilot in a physical rehabilitation center. The pilot indicated that he did not recall anything regarding the accident flight. The 39-year-old pilot held a FAA private pilot certificate with airplane single engine land and instrument ratings. The pilot held a third-class medical certificate issued to him on February 1, 2010, without limitations. An endorsement in his logbook showed that he completed a flight review on March 2, 2009 and that he completed an instrument competency check on September 3, 2009. The last entry in the pilot's logbook was dated December 18, 2009, and his total recorded flight time was 446.9 hours. A family member supplied a list of flights that the pilot was reported to have taken between January 6 and August 15, 2010. N333HK was an experimental amateur-built Kwech GLASAIR RG SUPER 11S, single-engine, low-wing, retractable tri-cycle landing gear, two-place airplane, with serial number 2313. A Lycoming IO-360-B1E engine, rated at 205-horsepower, with serial number L-11581-51A, custom built by DeMars Aero LTD, powered the airplane. Maintenance records for the airplane were requested and were not located. At 1553, the recorded weather at the St. Paul Downtown Airport / Holman Field, near St Paul, Minnesota, about 240 degrees and 10 miles from the accident site, was: Wind 300 degrees at 19 knots gusting to 28 knots, visibility 10 statute miles, sky condition broken 3,400 feet, overcast 4,300 feet, temperature 16 degrees C, dew point 9 degrees C, altimeter 29.94 inches of mercury. The airplane wreckage came to rest in a field about one half mile north of the departure runway. Pictures of the wreckage path showed that the propeller separated from the engine and the engine separated from the fuselage. The propeller and engine were found in the northwest portion of the debris field and the airframe in the southeast portion of the debris field. The propeller had chordwise abrasion and leading edge nicks on its blades. The fuselage exhibited deformation and crushing consistent with substantial damage. FAA Inspectors examined the wreckage and did not find any pre-impact anomalies. The engine was recovered and sent to a local fixed base operator for a test run. Damaged parts that included a cracked oil sump, a magneto with a broken flange, a fuel injector line, and damaged ignition leads were replaced with exemplar parts. The engine was installed in a test cell and it was observed by the National Transportation Safety Board Investigator In Charge to be operational during the test run. The damaged magneto was mounted on a lathe and it produced spark when the lathe rotated. The private pilot and three passengers were on a cross-country flight and stopped en route to refuel. The pilot reported that services were limited and only self-serve fuel pumps were available. The pilot intended to add about 25 gallons of fuel to each wing tank and asked one of the passengers for assistance in reading the fuel meter and reporting the quantity as she added fuel to the airplane. The passenger stated that the sun was shining on the meter, which made it hard to read. She yelled for the pilot to stop refueling when she read 25 gallons on the meter but stated to the pilot that the amount of time had not seemed sufficient to dispense 25 gallons. The pilot replied that the pumps were not like automotive pumps. The pilot then added fuel to the other wing, and the passenger called out when the meter reached 52 gallons. Upon completion of fueling, the pilot was unable to get a fuel receipt from the pump. The pilot reported that she did her normal pre-takeoff checks and then departed. About an hour after departure at an altitude of 13,000 ft, the engine experienced a total loss of power, and the pilot deployed the airplane's parachute system. 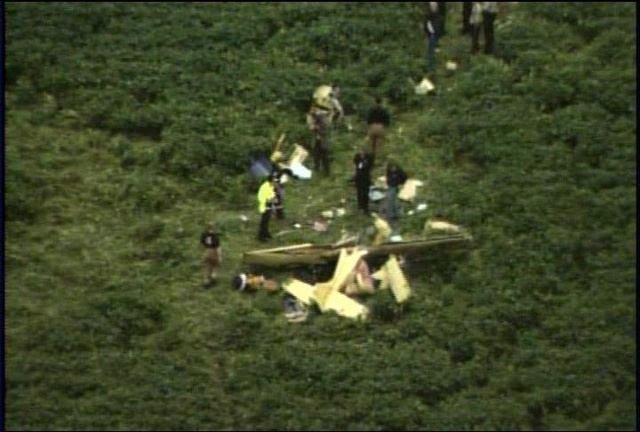 The airplane descended under canopy and impacted terrain, where it came to rest upright. Before the occupants egressed, a gust of wind caught the parachute and dragged the airplane into trees, flipping the airplane upside down. A visual inspection of the airplane at the accident site did not reveal any discrepancies with the engine. A credit card receipt for the fuel transaction indicated that the pilot purchased 5.23 gallons of fuel. Because the airplane was only filled with 5.23 gallons instead of the 52 gallons the pilot expected, the airplane did not have adequate fuel onboard to complete the flight. The before takeoff checklist includes the step "fuel quantity – confirm." The airplane's operating handbook states the airplane is equipped with a fuel gauge and a warning light that will illuminate if the fuel quantity drops below 14 gallons in each fuel tank. The investigation could not determine whether the pilot monitored the fuel system or observed a fuel warning light, but the circumstances are consistent with the pilot not verifying the fuel quantity prior to the flight, or monitoring the fuel quantity in flight, which resulted in a total loss of engine power due to fuel exhaustion. A total loss of engine power due to fuel exhaustion. Contributing to the accident was the pilot's inadequate oversight of the airplane's refueling and her subsequent failure to verify and monitor the fuel quantity before and during the flight. On February 29, 2016, about 1325 mountain standard time (MST), a Cirrus SR22 airplane, N2711M, descended under the canopy of the Cirrus Airframe Parachute System (CAPS) and impacted terrain near Laguna Pueblo, New Mexico. The private rated pilot and three passengers received minor injuries. The airplane was substantially damaged during the accident. The airplane was registered to and operated by a private individual under the provisions of 14 Code of Federal Regulations Part 91 as a personal flight. Visual meteorological conditions prevailed at the time. The flight departed the Seward Municipal Airport (KSWT), Seward, Nebraska, about 0820 MST, and was en route to the Phoenix Goodyear Airport (KGYR) Goodyear, Arizona; with an en route stop at the Las Vegas Municipal Airport (KLVS), Las Vegas, New Mexico. The pilot reported that they landed at KLVS, with about 12 gallons of fuel left onboard the airplane. She reported that there were limited services at the airport and only self-serve fuel pumps. She added that one of the passengers helped with the refueling, and they only wanted to take on about 50 gallons of fuel. One of the passengers reported that the pilot wanted to put 25 gallons in each tank, and she would read the meter. As the meter approached 25 gallons, she yelled to the pilot to stop. She added that the sun was on the fuel meter and it was hard to read. She reported that she didn't think enough time had elapsed to pump 25 gallons, but the pilot stated that the pumps are not like automotive pumps. The pilot moved over to the other fuel tank, and the passenger yelled "stop", at 52 gallons. The passenger also thought that one of the other passengers also read 52 gallons to the pilot, so that it was okay. The pilot added that she was unable to get a printed sales receipt. The pilot then reported that she did her normal take-off checks, and she and passengers departed for KGYR. About an hour after departure, and while cruising at 13,000 ft, the engine slowly lost power. The pilot informed the air traffic controller and shortly afterwards the engine stopped. The pilot looked for a plateau area and then deployed the CAPS. The airplane descended and landed near some trees; however, wind caught the parachute and pulled the airplane into the trees; flipping the airplane inverted. The responding Federal Aviation Administration (FAA) inspector reported the airplane had come to rest inverted. The wings had sustained only minor damage; however, the fuselage was buckled. Only the lower part of the engine was accessible and a visual examination of the engine did not reveal any obvious discrepancies. The inspector obtained a credit card receipt from the fixed based operator (FBO) at KLVS. The receipt indicated that the pilot had purchased 5.23 gallons of fuel. A review of radar data from FlightAware, revealed that the airplane was at an altitude above 12,500 ft for about 44 minutes, before the airplane descended below 12,500 ft. as a result of the loss of engine power. According to the airplane manufacturer's representative, the airplane was not equipped with a factory installed oxygen system. A review of the airplane's Pilot Operating Handbook and Airplane Flight Manual (POH), section 7, stated that the airplane is equipped with a fuel quantity indicator on the console, forward of the fuel selector valve; pointers indicate the quantity of fuel in the left and right fuel tanks. Additionally, when the quantity drops below 14 gallons in each tank, a FUEL caution light will illuminate on the annunciator panel. The Before Takeoff checklist in Section 4, Normal Procedures of the POH, advises Fuel Quantity – Confirm, and Fuel Selector – Fullest tank, before takeoff. Injuries: 1 Serious, 3 Minor. On February 29, 2016, about 1325 mountain standard time (MST), a Cirrus SR22 airplane, N2711M, descended under the canopy of the cirrus airframe parachute system (CAPS) and impacted terrain near Laguna Pueblo, New Mexico. The private rated pilot received serious injuries and three passengers received minor injuries. The airplane was substantially damaged during the accident. The airplane was registered to and operated by a private individual under the provisions of 14 Code of Federal Regulations Part 91 as a personal flight. Visual meteorological conditions prevailed at the time. The flight departed the Seward Municipal Airport (KSWT), Seward, Nebraska, about 0820 MST, and was en route to the Phoenix Goodyear Airport (GYR) Goodyear, Arizona; with an en route stop at the Las Vegas Municipal Airport (KLVS), New Mexico. The pilot's husband, who was not on the flight, reported that about an hour after departing Las Vegas, the engine slowly started to lose power. The pilot was unable to maintain altitude, and shortly afterwards, the engine quit. The pilot looked for a plateau area and then deployed the CAPS. The airplane descended near some trees; however, the wind continued to pull the airplane into the trees, and the airplane came to rest inverted. The responding Federal Aviation Administration (FAA) inspector reported the airplane was upside down. The wings had sustained only minor damage; however, the fuselage was buckled. Only the lower part of the engine was accessible and a visual examination of the engine did not reveal any obvious discrepancies. LAGUNA PUEBLO —A plane travelling from Nebraska to Arizona crashed between the Acoma and Laguna pueblos Monday afternoon. The Laguna Pueblo is about 40 miles east of Grants. After the pilot of the single-engine Cirrus SR22 reported engine failure, the airframe parachute system was deployed. Once the plane reached the ground, wind caught the parachute, tipping the plane over. Three were injured, but no one sustained life-threatening injuries. Feb 29, 2016 — SOUTH BURLINGTON, Vt. (AP) The Vermont Air National Guard is continuing flight training at night this week. The night trainings are scheduled to take place Tuesday through Saturday from the Air Guard base in South Burlington. The F-16s are expected to land at approximately 11 p.m. each night. An Air Guard official says nighttime flight training is an integral phase of pilot training and mastering the skill over Vermont skies ensures pilots' safety and mission success worldwide. The flight instructor reported that the student pilot was briefed on the procedure for an engine failure after takeoff and that the student pilot had performed the maneuver previously with another flight instructor. The student pilot performed a short field takeoff, and after rotation and the retraction of the flaps at about 200 feet above ground level, the throttle was retarded to idle to simulate an engine failure. He reported that the student pilot was instructed to lower the nose of the airplane, which he brought to a "level pitch attitude." The flight instructor reported that the student was again instructed to lower the nose of the airplane as the airspeed was about 55 knots as "I applied forward pressure to the yoke." The flight instructor reported that the sink rate "remained high" and he "moved the airplane to a flare attitude for landing" and applied full throttle. He reported that the airplane "touched down hard in a slightly tail low attitude" and the nose wheel "struck the runway hard." The flight instructor continued with the landing and taxied without further incident. The airplane sustained substantial damage to the firewall and rudder. The flight instructor verified that there were no preimpact mechanical failures or malfunctions with the airframe or engine that would have precluded normal operation. As a safety recommendation, the flight instructor stated "demonstration of the maneuver by the flight instructor prior to allowing the student to perform the maneuver." "In the event of an engine failure on initial climb-out, the pilot's first responsibility is to maintain aircraft control. At a climb pitch attitude without power, the airplane will be at or near a stalling angle of attack. At the same time, the pilot may still be holding right rudder. It is essential the pilot immediately lower the pitch attitude to prevent a stall and possible spin. The pilot should establish a controlled glide toward a plausible landing area (preferably straight ahead on the remaining runway)." The student pilot's failure to reduce pitch attitude during a simulated engine failure during takeoff initial climb, resulting in a high descent rate and hard landing. Contributing to the accident was the flight instructor's delayed remedial action during the simulated engine failure. When United Express ended its service between Albany and Cleveland, it blamed a shortage of regional airline pilots. When Republic Airways filed for Chapter 11 bankruptcy organization on Thursday, it, too, blamed a shortage of pilots. Regional carriers, which operate more than half the commercial flights nationwide, are parking planes because they can't staff the cockpits. Republic, which operates at least four daily departures at Albany International Airport, said parking its "out of favor aircraft" while continuing to make payments on them reduced revenues and contributed to its Chapter 11 filing. The 50- to 70-seat regional jets, once so popular with travelers, have fallen out of favor as airlines shift to larger planes to carry more passengers per pilot. The newer, larger aircraft also are more fuel-efficient. Not that this matters. Plunging oil prices have produced a windfall for mainline carriers. Able to offer higher salaries and better benefits, those carriers have their pick of regional airline pilots. The Air Line Pilots Association, meanwhile, estimated in a 2014 posting that Republic pilots that year made just $20,655 annually. New mandates that required more experience for pilot candidates, which followed the 2009 crash in Buffalo of a Continental Connection flight operated by Colgan Air, reduced the candidate pool even as starting salaries remained low. Regional carriers are working with their mainline partners to make beginning pilots' jobs more attractive. When United Express carrier Commutair announced it was adding Embraer regional jets to its fleet of turboprops, and that they'd be maintained at its Albany base, it also said it would participate in United's Career Path Program. 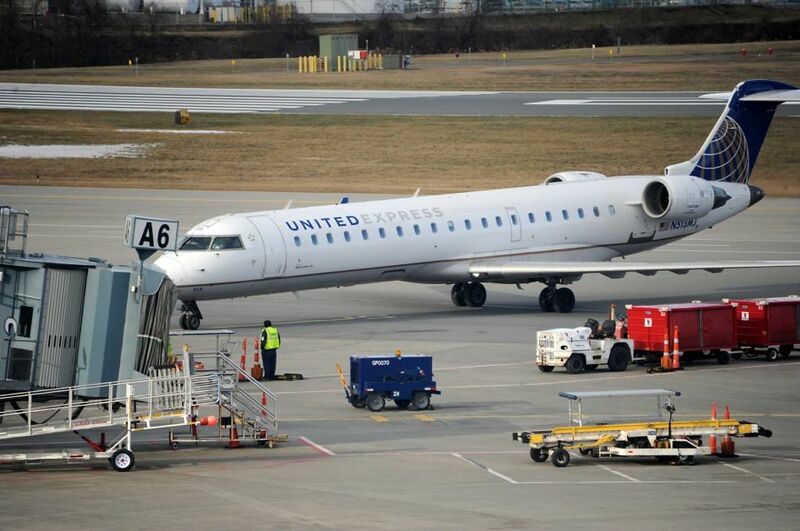 That gives pilots at CommutAir a "clear and reliable path" to a job with United. 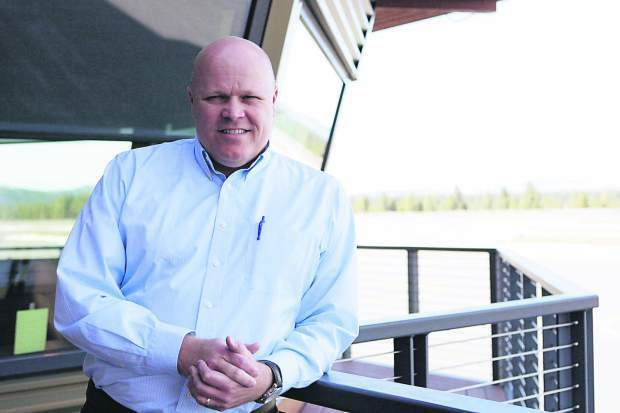 Steven Baldwin, an airports consultant at Latham-based Steven Baldwin Associates, doesn't believe the regional pilot shortage will be a long-term problem. Airlines, he said, will find a way to attract pilots, likely through guaranteeing minimum salaries and employment. In the meantime, however, carriers are trimming service at some of the smaller airports and substituting larger planes. An airport that previously had three regional flights might see one flight with a larger aircraft. Baldwin said Cape Air, which operates a fleet of nine-seat aircraft and has its maintenance base at Albany, notified Rhode Island officials it is ending seasonal service between Providence and Block Island, a popular resort destination in the Long Island Sound, citing a shortage of pilots. Schenectady County Community College offers programs to train both pilots and air traffic controllers. Pilots for mainline carriers such as United need at least a bachelor's degree to be considered for openings in the cockpit. El Paso County is looking at state and federal funds that could be used to fix up the Fabens airport. Located in the lower valley, the dilapidated airport is about 7 miles away from another property the county has been working to develop, the Tornillo port of entry. County commissioners are looking into if the county-owned airport could become a valuable asset to that area and the county as a whole, but heard Monday it needs a lot of work first. The 400 acres the county owns just northeast of Fabens has four runways and one hangar, but hasn't had much maintenance in decades. The county has previously missed out on up to $150,000 a year in Federal Aviation Administration funding and even more from the state because there was no overall plan for maintenance. Commissioners approved a list of 18 project priorities Monday the public works department can now look at lining up funding for, totaling more than $6 million dollars. But with limited federal and state funding available every year, it could take up to 10 years to get it all funded and done. For example, on one year's $150,000 maximum FAA funding for rural airports, the county could fix cracks in the runway estimated to cost $12,650, install an electronic security gate at $45,948, and get new fuel tank up to modern standards for $86,365, with a 10 percent county match. "We no longer want these facilities just to be dormant," said Vince Perez, county commissioner for Precinct 3 which includes the airport. "And I think there's a recognition from the court that they want to see more use out of this facility. And I think they see the potential for more use from this facility. So our first step is to get it up to shape to make sure that everything is up to standards, up to code." The county is also working on an overall economic development plan which includes analyzing if the Fabens airport can have specific economic benefits to the county. If not, Perez said the county won't enact this plan and instead will look at other options including selling it off. 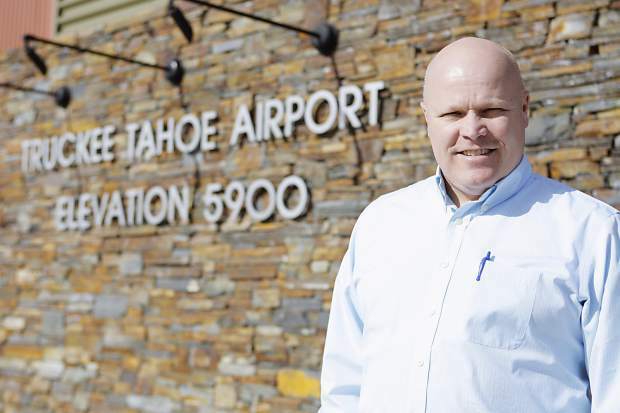 TRUCKEE, Calif. — With 2016 being an election year, the Sierra Sun is devoting time each week to conduct interviews with officials and board members who work for the many public districts and government agencies representing Truckee and North Lake Tahoe. SIERRA SUN: HOW WOULD YOU DESCRIBE THE STATE OF THE DISTRICT TODAY? Smith: Healthy, robust. We have a lot of really good projects going on. There’s the regular facility maintenance projects, but there is also some community initiatives — open space acquisitions, we’ve got a few that we are looking at right now ... the Tahoe City Golf Course and heliport that we are doing over there; we’re looking at our air space study ... to potentially see how we can alter the approaches and departures that are used at the airport to enhance our noise mitigation programs. The board will also be considering the Hangar 3 project as well as more executive hangars — those are things that are coming up on the horizon. Financially, the district is in very good condition. Diversifying funding sources the airport receives is something that has been a big focus of ours. The building we’re doing here with Clear Capital is a classic example of revenue diversification, so we’re not dependent on any single source of revenue whether it’s property tax or revenue from fuel sales. We also get federal grants. We’re very active in applying for federal grants through the (Federal Aviation Administration) and other agencies. Primarily we want to be non-reliant on property tax revenue. Less reliant is where we are right now. SUN: WHAT’S THE TOP ONE OR TWO BIGGEST CHALLENGES THE DISTRICT FACES IN 2016? Smith: I think one of the biggest ones that we will be balancing is growth and operations. We find that as the economy improves and as the region sees more visitors, we see more air traffic. One of the challenges we have is how to absorb that traffic — which we have very little ability to control — and not impact the community, to mitigate noise and annoyance concerns. Another one that we’re looking at right now is we have a lot of projects going on this summer. Our main taxiway is being reconstructed. The jet ramp is going to get reconstructed. There’s a hangar row ... that’s getting rebuilt. There’s quite a bit of work going on around the airport. ... Our facility maintenance plan stipulate(s) all of those projects. Getting all that done and keeping the airport operationally active is going to be a bit of a challenge. That’s something we’ll be working on through the fall. SUN: AS WE EMBARK ON THE SECOND HALF OF THE DECADE, WHAT IMPROVEMENTS DO YOU WANT TO SEE WITH THE DISTRICT BY 2020? Smith: I think we want to see a bigger portfolio of products and services that are recognized in the community that people feel there is benefit and value from. You don’t need to be an aviator to know there’s benefit to the airport. The airport provides services whether ... it’s the Makerspace (location), air service development or (funding) the (Truckee-Donner Recreation and Park District) swimming pool. We want to expand our portfolio of products and services to our constituency. We feel there’s lots of services that we can provide to our constituency that people may not readily know or consider like the meeting rooms, for instance. Three hundred meetings a year happen here (at the terminal). ... We’re very involved in transportation and transit by funding the (Highway) 267 (summer) bus service. ... We’re really trying to put our money into places where there’s wide-scale community benefit. What I would like is to never lose sight of the fact that we want to run a very safe and efficient airport. That’s No. 1; it will always be No. 1, but then expanding our products and services to our constituency. When I say constituency, I know people get bogged down thinking our constituency is pilots; it’s not. It’s everyone that lives within the airport district boundaries, (so) providing services that everyone benefits from. SUN: HOW DOES THE DISTRICT BALANCE THE NEEDS OF LOCALS, SECOND HOMEOWNERS AND VISITORS WHEN DELIVERING SERVICE? Smith: Our district does that in a lot of ways. ... Providing this (terminal) facility all the way to the ramp and hangars that people can use for events. Other things like the air show, where we get a lot of transient folks and local residents attending that event, so doing more things like that is also attractive to us. ... This facility, it’s a community facility funded by community dollars, and so, we want to leverage it and make it useful for those kinds of things. I think the other part in balancing is the tremendous effort that the airport puts on noise and noise annoyance mitigation. While the airport continues to accept more operations and more continue to come, we also have a very robust pilot outreach program and passenger outreach, (with) different campaigns that we implement such as voluntary curfews that we use with our pilot community to try to minimize the impact of all of that traffic. We have a tremendous respect for our neighbors, and we try to do everything we can to minimize the impact the airport has. SUN: IN THIS MODERN ERA OF SMARTPHONES AND SOCIAL MEDIA HOW IS THE DISTRICT CHANGING HOW IT COMMUNICATES IMPORTANT INFORMATION TO THE COMMUNITY? Smith: Last year we actually hired a public relations manager (Marc Lamb) and launched various different social media platforms that he usually posts to it every two to three days. I believe we’re on Instagram and Facebook now along with our very robust website that was upgraded last year. We leverage those not just for communications with our community, but also ... pilots. In the pilot world everything is becoming automated, and we leverage that to get fly quiet information and safety information into the cockpit through some of the platforms that are out there. It’s a big deal. We spend a lot of time on it. The private pilot said he performed a preflight inspection of the airplane and let the engine warm up to normal operating temperature before he taxied to the runway and performed a normal run-up of the engine. During takeoff, the engine lost power. 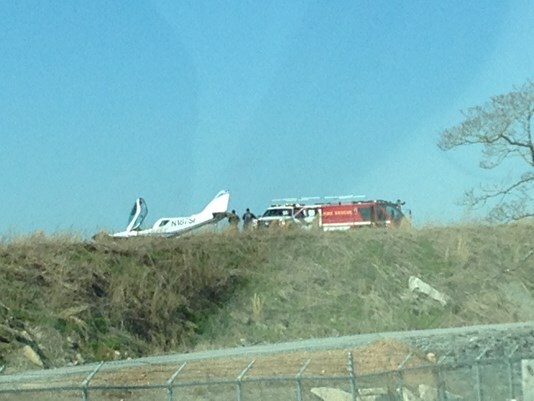 The pilot attempted to return and land on the reciprocal runway but landed about 300 ft southeast of the runway on grass. The landing gear collapsed during the landing, which resulted in substantial damage to the airframe. Engine performance data downloaded from the airplane’s onboard electronic display revealed that the fuel flow to the engine was interrupted shortly before the end of the flight. A postaccident examination of the engine revealed no mechanical anomalies that would have precluded normal operation, and during a test run of the engine on the airframe, it ran continuously for several minutes without hesitation. Examination of the fuel system revealed that no fuel return line (or fuel restriction line) had been installed, which was not in accordance with the engine manufacturer's installation instructions. The engine installation manual stated that the purpose of the fuel return line was to prevent the formation of fuel vapor lock. It is likely that the absence of the fuel return line resulted in the engine losing power due to fuel vapor lock. A total loss of engine power due to fuel vapor lock. Contributing to the accident was the absence of a fuel return line. On February 28, 2016, at 1337 eastern standard time, N187SF, Czech Aircraft Works SPOL SRO - SportsCruiser, made a forced landing after a total loss of engine power while on takeoff from DeKalb-Peachtree Airport (PDK), Atlanta, Georgia. The airplane sustained substantial damage, but the private pilot/owner was not injured. Visual meteorological conditions existed at the time of the accident and no flight plan was filed for the flight that was being conducted as a 14 Code of Federal Regulations Part 91 personal flight. The flight was originating at the time of the accident. The pilot stated that this was his first flight of the day. He conducted a thorough preflight inspection of the airplane before he started the engine. He then let the engine warm up to normal operating temperature before taxing to the runway. The pilot said he performed an engine run-up and everything was normal. Both fuel tanks were full with about 15 gallons of auto-gas, and the fuel selector was on the left tank. The fuel pump was "on." During the takeoff from runway 21R, the engine lost power. He switched fuel tanks, but the engine did not re-start. The pilot declared an emergency and attempted to land on runway 3R, but landed about 300 ft southeast of the runway on grass. The landing gear collapsed on landing and the airplane slid and spun 180° before it came to rest. The airplane was equipped with a Dynon Skyview display. Engine performance data downloaded from the unit revealed an interruption in fuel flow to the engine during the short flight, about 12.5 minutes after the data recording began, and about 2 minutes before the data recording ceased. A postaccident examination of the airplane and engine revealed the fuselage, both wings, the firewall, and an engine mount were substantially damaged. The Rotax 912 ULS engine remained attached to the airframe and two of the three propeller blades were broken off at the hub. Both carburetors were displaced from their respective sockets and the gascolator bowl was shifted from its mounting bracket. The float bowls were removed from each carburetor and inspected. A small amount of fuel was observed in each bowl along with a small amount of contamination that was consistent with a small particle of fuel line. No mechanical anomalies were noted with either carburetor and the float bowls were re-installed on the engine. The spark plugs were removed from the engine and a continuity and compression check were completed via manual rotation of the propeller. No mechanical issues were noted. The engine was then prepped to be test run, which involved cutting the remaining propeller blade and removing the fuel pump inlet line from the firewall and placing it in a fuel container with fresh fuel. The engine was started and run to 5,700 RPM (5,800 RPM was max). Fuel pressure was 5.8 PSI, which is in the normal pressure range. The engine ran continuously for several minutes without hesitation. No mechanical deficiencies were observed with the engine that would have precluded normal operation at the time of impact. Examination of the airplane's fuel system revealed that the airplane did not have a mandatory fuel return line installed as per the Rotax 912ULS installation instructions. The fuel return line was made mandatory via an amendment to the installation manual on August 1, 2012. The manual stated on page 3, section 73-00-00, subsection 1.1) Description of system – Return Line, "NOTE: The return line prevents malfunctions caused by the formation of vapor lock." Additionally, page 6, Section 73-00-00, subsection 1.3 of the manual stated, "Requirements of the fuel system – Fuel return line, NOTICE: The installation of a fuel return line is mandatory. If the fuel distributor piece with regulator from Rotax is not available, the fuel pressure must be regulated by a restriction in the fuel return line, which ensures that the fuel pressure is under all operation condition within the operating limits specified by Rotax." No fuel return line or restrictor regulator was installed on this airplane as per the Rotax installation instructions. The accident engine was manufactured in January 2012 and was not the original engine installed on the airplane. A review of maintenance logs revealed the engine was installed on the accident airplane by a repair station in December 2013. The pilot/owner purchased the airplane with the new Rotax 912ULS engine already installed in 2014. He was unaware that the mandatory fuel return line was not installed. The Airframe Maintenance Manual (AMM) depicted the airplane's fuel system design layout with a fuel return line installed. However, the accident airplane was manufactured in 2008 and based on the information provided by the airframe manufacturer, no Czech SportCruiser airplane manufactured prior to 2010 had a fuel return line installed. The fuel line was only made mandatory by the engine manufacturer, Rotax, if their Rotax 912ULS engine was installed after August 1, 2012. The airframe manufacturer made the fuel return line standard in September 2010 as the design modification no. S - K - 0084 and a change to the AMM Revision 6, for the SportCruiser in January 2011. According to the airframe manufacturer, 94 airplanes were manufactured for the US market without a fuel return line. Prior to the design modification, there were no reports of any engine problems or shutdowns. The pilot held a private pilot certificate for airplane single-engine land and instrument airplane. His last FAA third-class medical was issued on July 24, 2014. The pilot reported a total of 1,117 flight hours, of which, 56 hours were in the same make/model as the accident airplane. At 1255, the weather reported at the airport was visibility 10 miles, wind 210° at 10 knots gusting to 20 knots, and clear skies. On February 28, 2016, at 1337 eastern standard time, N187SF, a light-sport Czech Sport Aircraft - SportCruiser, made a forced landing after a total loss of engine power while on takeoff from DeKalb-Peachtree Airport (PDK), Atlanta, Georgia. The airplane's left wing, firewall, landing gear and propeller were damaged. The private pilot/owner was not injured. Visual flight rules conditions existed at the time of the accident and no flight plan was filed for the flight that was being conducted as a 14 Code of Federal Regulations Part 91 personal flight. The flight was originating at the time of the accident. The pilot stated that this was his first flight of the day. He conducted a thorough preflight inspection of the airplane before he started the engine and then let it warm up to normal operating temperature before taxing to the runway. The pilot said he performed an engine run-up before taking-off and everything was normal. Both fuel tanks were full with about 15 gallons of auto-gas, and the fuel selector was on the left tank. The fuel pump was "on." The pilot said the engine run-up was normal and proceeded to takeoff on runway 21R. As the airplane began to climb, the engine lost power. He switched fuel tanks, but the engine did not re-start.The pilot declared an emergency and attempted to land on runway 3R, but landed about 300 ft southeast of the runway. The airplane and engine were retained for further examination. The chopper industry has stubbornly high fatality rates. Firefighters responded after a rescue helicopter crashed in Colorado last July. Helicopter manufacturers and operators from around the globe will gather this week to revamp safety initiatives, after years of lackluster results marked by stubbornly high fatality rates. Industry leaders are quietly scaling back internal projections for reducing the frequency of crashes, while explicitly shifting focus to emphasize specific accident categories and industry segments, according to officials involved in the discussions. Despite new procedures, enhanced technology and stepped-up training including urging pilots to be extra cautious when flying around bad weather, accidents involving nonmilitary choppers remain significantly more frequent than previously projected. The industry has failed to meet its own goal of achieving an 80% reduction in total world-wide crash rates over the past decade. 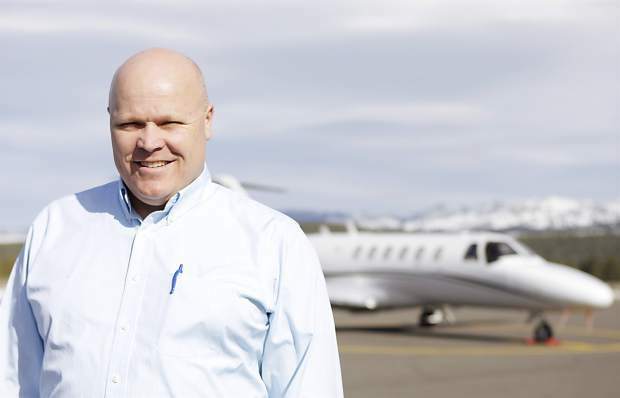 “We fell far short, but we view this as a journey” that is akin to a marathon, according to Matthew Zuccaro, president and CEO of Helicopter Association International, the largest trade association. With more than 15,000 attendees expected at the opening of the Heli-Expo conference in Louisville, Ky., on Monday, Mr. Zuccaro and other industry leaders will avoid issuing any revised targets for safety improvements and instead stress their long-term “vision” of achieving zero accidents. But behind the scenes, according to these officials, rotorcraft experts have sharply reduced their expectations of likely safety gains through the end of the decade. The updated goal for interim improvements over the next few years, according to the officials, is now a less ambitious 20% or 25% drop in the frequency of fatal crashes from current levels—both in the U.S. and abroad. In addition, future safety programs will place greater emphasis on reducing deadly events along with specific hazards faced by industry segments, rather than simply calling for across-the-board improvements in generic accident rates. “These conversations have been going on” to recalibrate internal projections, Mr. Zuccaro said in an interview, adding that the more modest goals are “simply a good-faith effort” to estimate the likely pace of progress without publicly embracing percentages. Unlike the 2006 to 2016 goals he helped put in place and then publicized, Mr. Zuccaro now says, “I am not comfortable running around saying we are going to achieve [a specific] reduction” in crash rates. Since the International Helicopter Safety Team was formed in late 2005 to map out safety programs, the overall improvement in global accident rates is closer to an estimated 35%, with some years and regions faring significantly worse, though statistics are unreliable. U.S. results have been verified as stronger during the same period. They indicate a roughly 50% drop from the 2001 to 2005 baseline accident rate, slipping to under four crashes per 100,000 flight hours. Most of those gains, however, occurred at the beginning of the effort, and accidents actually spiked in 2012 and 2013. The total U.S. accident rate in 2015 ended up being double the original target, with just under one in seven crashes involving fatalities, these officials said. Both of those safety metrics are somewhat improved from 2014, though final numbers slated to be released at the conference show little improvement from levels recorded three years before that. Helicopters are much more prone to crashing than fixed-wing aircraft because they routinely fly close to the ground near potential deadly obstacles; many are operated by a single pilot, rather than the two-person crews found in cockpits of airliners and business aircraft; and they perform a much wider array of roles, from flying into remote mining areas to being used as air ambulances that often transport patients from unfamiliar locations in bad weather. Last year, the accident rate for all airlines flying jets and turboprops world-wide was one badly damaged or destroyed plane for every 3.1 million flights. Or using a different data set, there were 136 fatalities out of more than 3.5 billion passengers. The chopper goals were developed using the concept of industry-government cooperation championed by U.S. airlines. But safety experts are particularly frustrated because the frequency of fatal helicopter accidents—which grab the most headlines and should yield the most important lessons—has hardly budged world-wide since the middle of the last decade. By contrast, the global airline industry reached a milestone in 2015, when not a single passenger died as a result of a jetliner crash anywhere in the world. A big part of safety depends on affecting the behavior of private chopper pilots who together account for nearly one out five accidents, as well as influencing smaller operators with just a handful of aircraft. One senior industry safety official describes it as a problem of “reaching the unreachable,” because such aviators tend to sign up for formal training only when prodded by insurance carriers. Autopilots provide another important safety boost. “It’s definitely something we’re looking at for our single-engine helicopters,” says Lindsay Cunningham, director of flight safety for the U.S helicopter unit if Airbus Group SE. Already, she says, “more and more of air-medical customers are installing them.” But so far, it is estimated that only one out of five helicopter ambulances across the U.S. is equipped with such devices, and retrofit costs may be prohibitive for recreational pilots or small commercial outfits. The conference will provide another example of industry shifts. For the first time, exhibitors of drone hardware will be part of the Heli-Expo gathering. And leaders of Helicopter Association International are expected to admit drone makers and operators as members of that trade association, an influential group that historically represented only manned choppers. 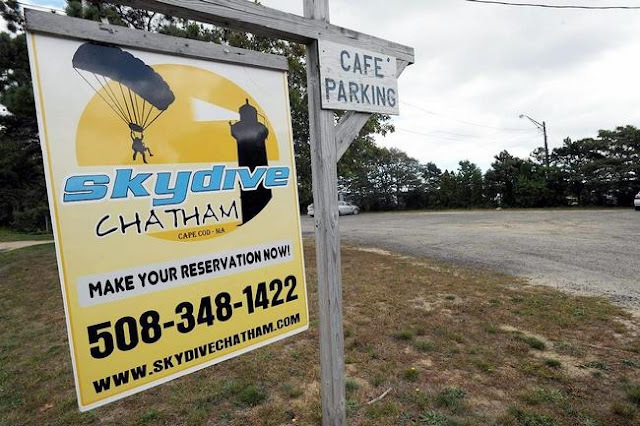 Chatham Airport matters, including those relating to the future of Sky Dive Chatham have cost the town tens of thousands of dollars in staff time and legal fees. CHATHAM -- Since concerned residents began the fight to eliminate skydiving it’s cost the town a lot of time and money. But how much? That was Selectman Dean Nicastro’s query and he got some answers last week. “It’s important to understand the financial implications,” he said. A memo drawn up by Town Manager Jill Goldsmith catalogues the legal fees expended by the town, as well as the cost of some staff time, but there are still undocumented expenses. One firm number is the $42,029 in legal costs the town has spent so far as well as the close to $4,000 in consulting fees so the town could have a safety study conducted at the airport. Those figures will continue to climb as the town is in the midst of defending itself against a suit leveled by Citizens for a Safe Chatham Airport, which is trying to prevent a skydiving operation from returning to the municipal airport. Although the town agreed with residents that there were safety concerns, the Federal Aviation Administration did not and since the airport has taken grant funding from the federal government it can’t discriminate against any aeronautical activity. Under pressure, town officials drew up a request for proposals for skydiving, residents sued and both sides will be in court again on March 17. “I think it’s important we understand that whenever the town is sued the taxpayer is impacted,” Nicastro said. In addition to those costs, the memo briefly sketched out staff time. Principal Projects Manager Terry Whalen, who made $95,000 in 2014, spent three to four days a week, 60 to 80 percent of his time, on airport matters from spring 2013 to last summer, Goldsmith wrote in the memo. That number was reduced 20 to 40 percent of his time in the past few months, but before 2013 he could go weeks without dedicating hours to the airport. The memo made it clear that since 2013, “a progressively substantial staffing effort” has been devoted to the airport. The effort includes complying with open meeting and public records laws, dealing with Federal Aviation Administration requirements (multiple RFPs were required), capital planning, technical support for legal complaints and financial work. Goldsmith said she did not include her time or time spent by Finance Director Alix Heilala and Executive Secretary Shanna Nealy on airport matters. At the spring town meeting the airport commission is hoping to bring forward some capital needs for the airport on George Ryder Road. The airport manager, Cape Cod Flying Circus, is responsible for routine housekeeping and maintenance, as well as utilities, all insurances, etc, but the town is responsible for major structural repairs. The money for these requests doesn’t come out of the airport’s revolving fund, which is primarily made up of lease payments from Cape Cod Flying Circus, as well as other payments – such as fishermen storing their gear on the property – and is capped at $40,000. The $302,000 for the four capital items will need to be approved by town meeting and will add about five cents to the tax rate, said Heilala last week. The requests include: $100,000 to repair a hangar door, $160,000 to repair safety, electrical and structural issues in a storage hangar, $25,000 for stormwater mitigation and $17,000 for a specialized snow removal machine which is also a bucket loader. The federal and state governments are picking up the bulk of the machine’s cost, the town is only responsible for five percent.